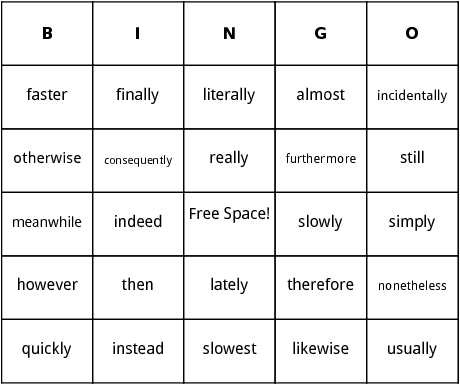 Here are the Adverbs Bingo Cards. They are part of our English lessons bingo cards and contain words such as completely, usually, then, finally and others. Scroll down to see the rest of the word list. Visit our English Bingo cards category.